The National August Wilson Monologue Competition presented in collaboration between True Colors Theatre Company and Jujamcyn Theaters. The 10th Annual August Wilson Monologue Competition will take place on Monday, May 7th at 7:00 PM at the August Wilson Theatre (245 West 52nd Street). 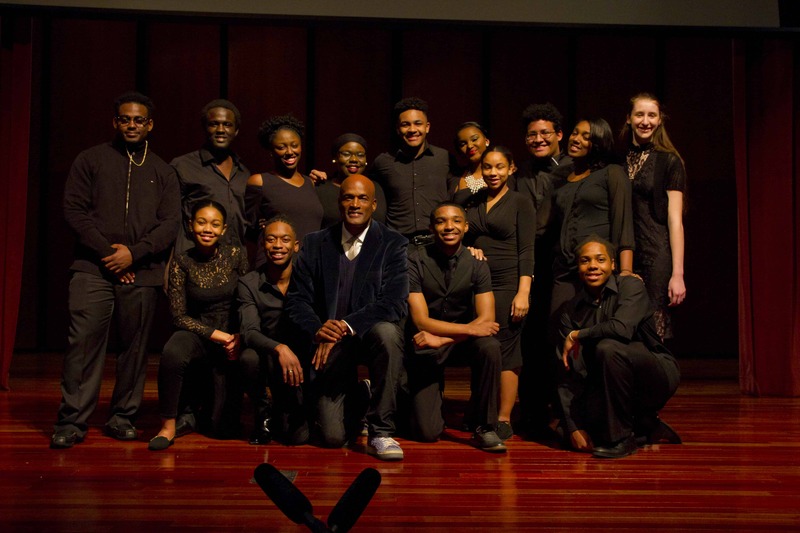 The event, which is free and open to the public, features high school students from Atlanta, Boston, Buffalo, Chicago, Los Angeles, New Haven, New York, Pittsburgh, Portland, Seattle, Dallas and Greensboro, North Carolina performing monologues by the late, legendary American playwright. Founded in 2007, the Annual August Wilson Monologue Competition aims to expose a new generation of creative minds to the life’s work and artistic legacy of this seminal American playwright. Program participants in cities across the country encounter Wilson’s ten-play cycle and receive coaching from teaching artists as they prepare their monologues for local, city-wide and national competitions. A panel of celebrity judges will evaluate the competitors and select a winner. The evening will also include performances by well-known Wilsonian veterans and special musical guests. Among those who have previously lent their support as performers, judges and guests are Phylicia Rashad, Russell Hornsby, Ruben Santiago-Hudson, Scott Rudin, Guy Davis, Lynda Gravatt, Keith Randolph Smith, Tamara Tunie, Katori Hall, Maurice Hines, Chris Chalk, LaTanya Richardson, Heather Alicia Simms, Pauletta Washington, and Mykelti Williamson, among others. In the past, students have had the opportunity to spend time with other prominent Broadway performers over the course of the weekend, including Denzel Washington and Daniel Radcliffe. This year’s competition will afford students from these cities around the country the opportunity to attend a Broadway show, work closely with two of Wilson’s closest collaborators: director Kenny Leon and dramaturg Todd Kreidler, and explore popular Manhattan attractions before making their Broadway stage debuts. The three finalists from each regional city will compete, and the top contestants will be chosen to perform on the August Wilson Stage at the National Finals. The top three contestants from the national competition are awarded college scholarship opportunities in addition to monetary awards and the gift of TCG’s Century Cycle collection. The first place winner will receive a $1,500 cash prize, the runner-up a $750 cash prize and the honorable mention a $500 cash prize. Each of the winners will also receive college scholarships of $1,500, $1,000, $500, respectively.